Samsung’s official video for its Galaxy S9 and S9+ has leaked ahead of its MWC 2018 launch. 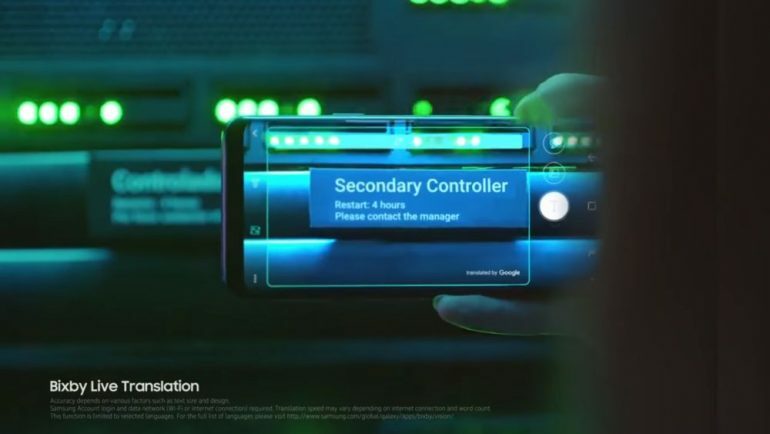 The new three minute long official seems to make its case for the Galaxy S9 being the perfect phone for business. It also gives us a first look of the DeX Pad, Samsung’s replacement to the original DeX docking station that launched last year. The Bixby translation feature looks to have been given a bit of an upgrade; according to the video, Samsung’s own AI is now able to translate foreign languages into English on the fly. Samsung’s official keynote at MWC 2018 is about to kick off in a few hours, so the answer to all your questions about the phone will be answered then. In the mean time, you can bring yourselves up to speed with Samsung’s next flagship by checking out our Galaxy S9 roundup.